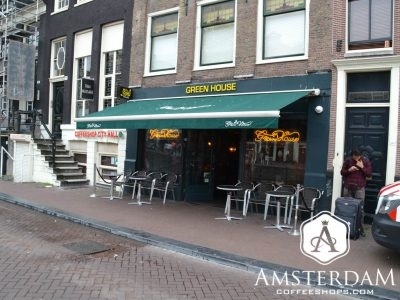 With a slogan such as “Creators of Champions”, the GreenHouse Amsterdam brand clearly understands that without top quality cannabis, even terrific ambiance wouldn’t give them worldwide awareness and reputation. Those are earned, which this shop has. 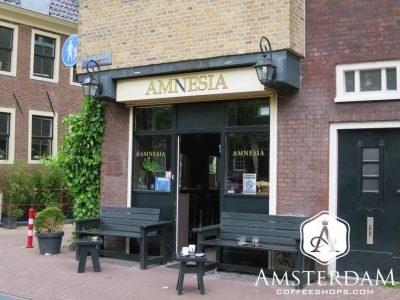 Amnesia Coffeeshop is a trendy establishment in the heart of Amsterdam Centrum’s canal ring. The shop has somewhat of a nightclub feeling to it, with a well detailed and “polished” interior. The cannabis menu is also connoisseur quality here. Smoke Palace is large, and the decor beautiful. Custom tile and wood work are featured on the walls and counter throughout much of the shop. Add mirrors and track lighting, and you have a place that looks more a nightclub than a coffeeshop. 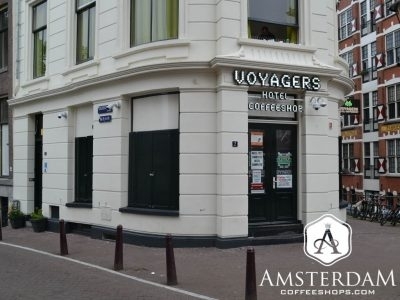 Popeye Coffeeshop takes its name from the classic comic strip character “Popeye the Sailor Man”. The shop inside is quite warm and welcoming. It is not large, but does have three distinct levels. They also have a large breakfast menu. 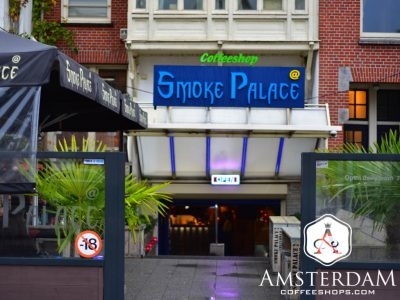 Prix d'Ami Coffeeshop is arguably more of a weed nightclub than a traditional Dutch cannabis bar. 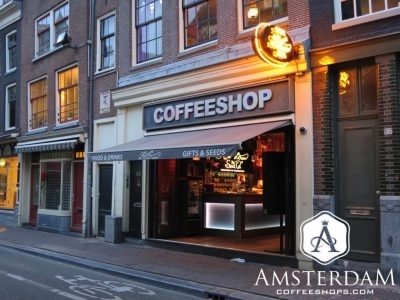 The largest coffeeshop in the city, this shop is spread over three floors, and six rooms. It is also packed with features and amenities. 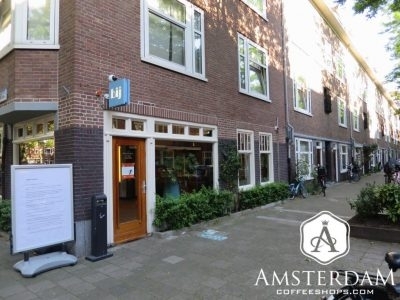 The Bij Coffeeshop is quite different from the old-school vibe of many others in the city. 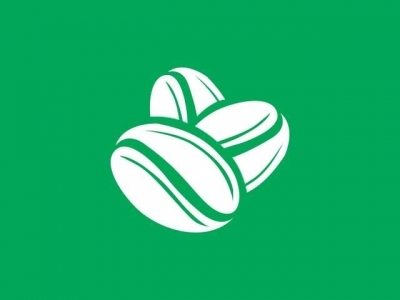 It has the medically professional feel of a pharmacy or Colorado cannabis dispensary. The shop decor is clean and clinical, and budtenders wear white coats. Barney's Lounge is a modern establishment; the decor a bit of a mix between nightclub and a posh coffee lounge. 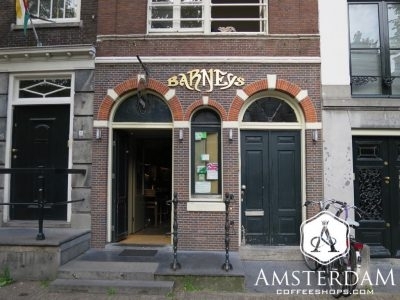 One of several Barney's establishments, which are are known for their award winning strains and focus on connoisseur customers. Boerenjongen translates as "Farmer Boy". When you come here, you feel like you are making a visit to the local pharmacy to pick up your prescribed meds... only your medicine is weed, and your local pharmacy is somewhere in Denver or LA. This shop gets its name from Bagheera, the black Indian leopard from famous children’s novel The Jungle Book. 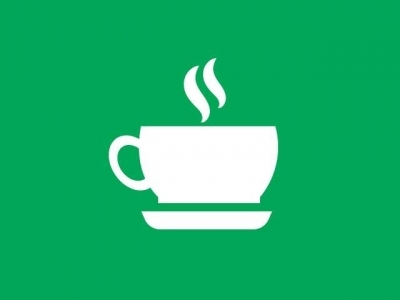 In contrast to the aggressive logo of Bagheera Coffeeshop, the actual vibe of this place is relaxed and welcoming. 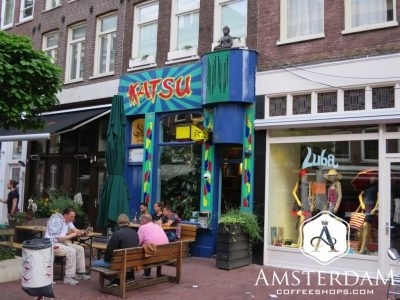 Katsu is that this is an extremely artsy place, with an eclectic welcoming vibe. 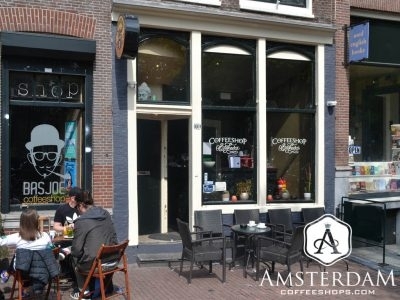 It is also regarded as a connoisseur shop, and generally boasts an excellent and diverse weed and hash menu. This is a standout shop in De Pijp section of Amsterdam. In the back of this location, one will find numerous display cases showing off various trophies and other awards that Green House has won. They also have a "wall of celebrities" in the far corner. They've had no shortage of famous customers here.